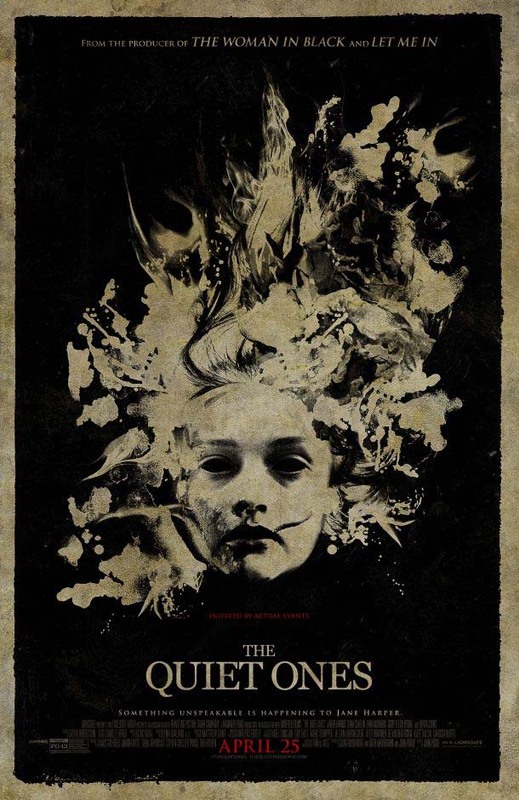 Taking place in England in 1974, a university professor heads a small team of students in an experimental attempt to cure a young lady of her apparent psychosis, an illness that may or may not be the manifestation of an evil, malefic force. As the experiment trundles on, the team starts to fall apart as egos clash and tempers flare. Things start to get weird; things go bump in the night, stuff starts happening… are these unexplainable events truly of a psychic nature? Is all of this just the result of being around one sick, sick girl? Struggling between success and collapse, the team tries to help this one lost young lady whose fate hangs in the balance. Director John Pogue attempts to craft an eerie and creepy movie with The Quiet Ones. Jared Harris plays Professor Joseph Coupland, the passionate professor who leads his team of students, Harry Abrams (played by Rory Fleck-Byrne) and Krissi Dalton (Erin Richards) in an attempt to save Jane Harper (Olivia Cooke) from herself. 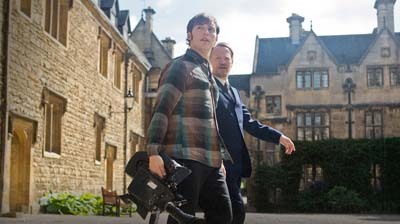 Professor Coupland enlists the aid of Brian McNeal (Sam Clafin) to serve as the documentarian of this experiment, lending his camera to film all of the events that follow. With careful pacing and extended silences, the movie doesn’t surge along, choosing instead to slowly burn into a wailing pitch by the final act. The use of first person perspectives at certain points add to the already disturbing ambience of the movie, lending a feeling of immersion to the viewer. One of the best parts of the movie involves a subplot that echoes Lovecraftian storytelling. The beauty of this movie, however, is also its biggest downfall. Many horror movies in recent history attempt to make the horror real by adding an element of detached scientific approaches to the plot. The truth-seeking scientist doesn’t give into the notion of the supernatural, championing instead the unmistakable severity of empirical fact and scientific methods. This movie begins with that sense of sterility, but, as it moves along, the science of the research becomes wholly forgotten. If a movie like this is to capture an audience, it has to keep the rules that it set fourth in the first act throughout the movie. The Quiet Ones doesn’t do that, abandoning the science in exchange for strange lovey-dovey subplots and weak notions of duty and conviction by the end. This, coupled with terrible dialogue at points (there’s a scene where Krissi is speaking with the professor, telling him that she’s scared, to which he replies, “It’s good that you’re scared, it reminds you that you’re alive”) add up to a miasma of a horror movie that fails to scare. The Quiet Ones opens today in Philly area theaters.